As senior vice president, general counsel and secretary, Michael Monroe leads the efforts of Hunt Oil Company's legal team and oversees the land and commercial development activities of the company. He was previously lead counsel for Hunt Oil Company's legal department and was responsible for oversight in HOC's investments and activities in Peru. He was also involved in the analysis, development and risk management associated with the legal issues affecting Hunt Oil Company's interests worldwide, including acquisitions, divestitures, operations and financings. Monroe joined Hunt in 2002. He was previously an attorney in the Dallas office of Vinson & Elkins LLP, where he represented clients on a variety of business transactions and other matters. 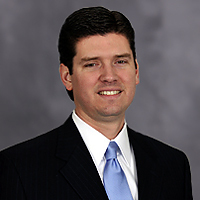 He graduated from Baylor University with a BBA in accounting and master of taxation and earned his law degree from The University of Texas at Austin.